So according to this article, prices are set to rise. But if you look at regional data, then it doesn’t apply to us. And what we really need to look at is local data. Does anyone think the market at Lake Winnipesaukee is the same as the market in Brockton? Read on…. That said, real estate markets aren’t “regional” — they’re local. Just as there are improving markets within the Northeast Region, there’s worsening markets in the West. The number of homes under contract to sell rose 5 percent in July. 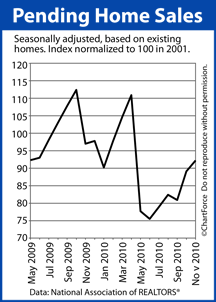 The data comes from the July Pending Home Sales Index, as published by the National Association of Realtors®. By definition, a “pending home sales” is a home that is sold, but not yet closed. Historically, 80% of such homes close within 60 days which makes the Pending Home Sales Index an excellent, forward-looking indicator for the real estate market. 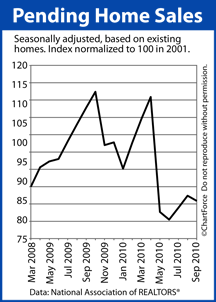 Indeed, the nationwide drop in home sales this summer was foreshadowed by the Pending Home Sales report. The index dropped 30 percent in May. 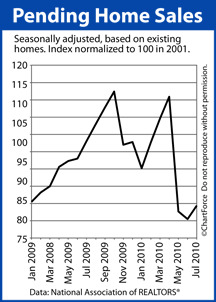 Then, two months later in July, it was shown that Existing Home Sales volume dropped 29 percent. Now, to be fair, the July Pending Home Sales Index is still relatively low; the second-lowest on record and well below last year’s numbers. But, the tick higher last month shows how housing may be stronger than than what the headlines report. It appears that buyers took advantage of rising inventory, cheap financing, and stagnant prices, and pushed the market forward. 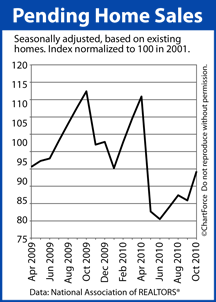 We should expect similarly promising numbers when September’s Existing Home Sales data is released.